Cable Pulling Machines are required mainly for commercial purpose. They help in effective methods of laying cables as well as pulling cable with the help of a cable puller winch for years to come. Cable pulling machines, are one of the premium quality equipments that are not only reliable and efficient for the purpose and also provide you with the best cost effective method of laying all your cables in years to come. They are durable, long lasting as well as safe to use as well. Some of the best cable pulling winches are designed as per your requirements and customized accordingly. It is used for pulling high tension wires in a smooth hassle free manner. You can choose from an assortment of Cable puller winch that are required for installing power cables where high pulling tension wires are required. Each and every unit is devised in a specific way. 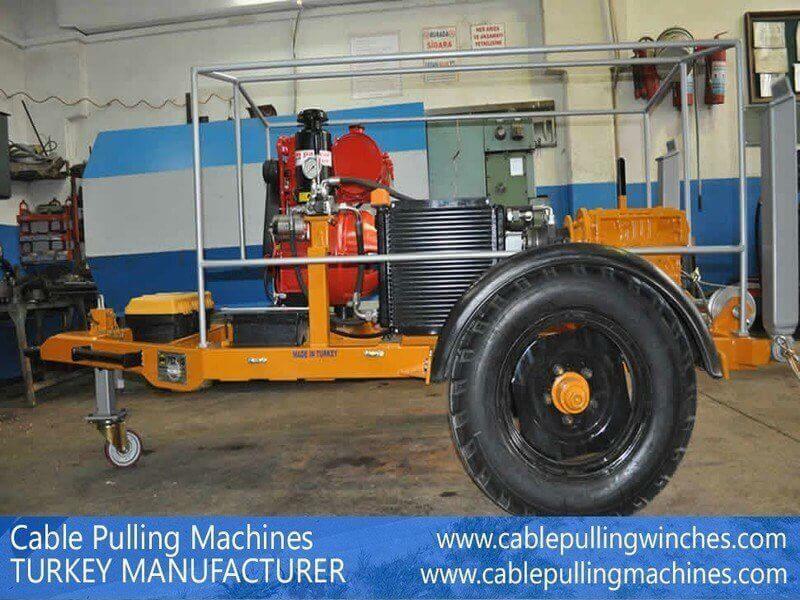 Our cable puller winch is engineered in a robust manner and also fitted with some of the most powerful and heavy duty engines that power hydraulic transmission for a smooth pull and each machine is fitted with a special console so that the operator can also have a visual display of the force that is applied while pulling. All our winches can be preset quickly so that they do not go beyond the required pulling tension. Our winches have been designed to pull delicate fiber cables as well as heavy copper cables.We also help to pull coaxial cable, H.V Cables as well as sub duct cable. All our machines are reliable, powerful as well as affordable and can be used for all kinds of commercial purpose as well.